I love architecture and landscape and forming our living spaces into representations of ourselves. Family home architecture, landscape designs or even skyscrapers … I really like the ‘art of urban spaces’. So I decided to put together a list of the most influential landscape designers in Australia (in my opinion of course). Let me know below in the comments what you think and if I missed anyone you think I should check out! Anthony Spies Landscapes brings 35 years of experience, to the Sydney area in garden design, landscaping, sustainability makeovers, and pools. Birdwood Landscape Design, Warren Green, principal, offers 25 years of award-winning landscaping for the Central Coast, Upper & Lower North Shore and Hunter Region. Botanical Traditions, “sustainable landscape designs” in Melbourne and throughout the Victoria area, with 13 years of commendations, awards and medals earned by architect/principal Ruth Czermak and Kim Kitchen, landscape designer, create green roofs, visual screens, indigenous gardens sustained by greywater and rain harvest systems. David Baptiste Garden Design’s sustainable gardens won an Award of Excellence from the Landscape Association of South Australia (Residential Landscape prize for projects over $100,000). 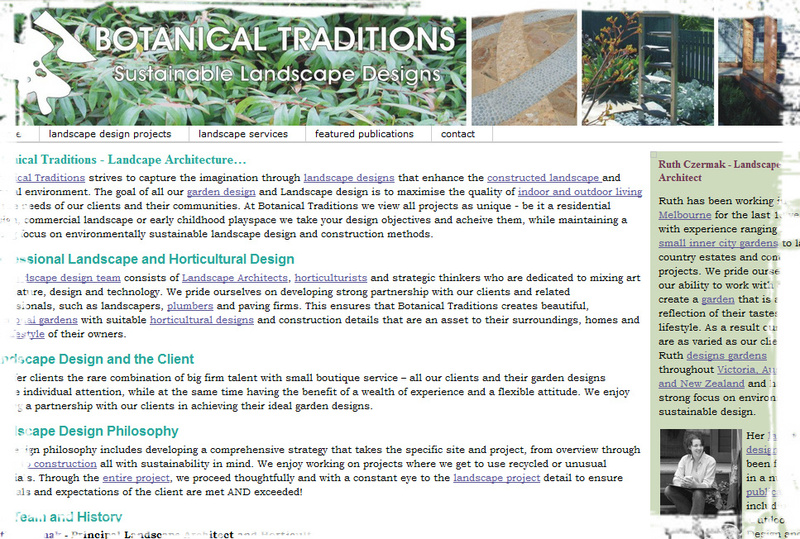 Easycare Landscapes established 1999, serves Pilligo and the ACT. Multi-award-winning sustainable gardens prove that Easycare Landscapes don’t sap time, energy or resources. Gardenscape Design, established by Sandra McMahon in 1998, relies on structural plantings, not hardscaping. McMahon champions drought-tolerant natives and metaphoric “water” features, real water used wisely or suggested in gravel dry-scapes to create settings for healing, continuity and hope. Jim Fogarty Landscape Design, Melbourne, in 2011 won the Gold Medal at Chelsea for “The Australian Garden” and “Snow Garden” Best in Show Gardening World Cup in Nagasaki, Japan. Two dozen international design awards including 11 gold medals and “City of Melbourne Trophy” for “Memories of England” and “Rustic Australian” indicate that Fogarty, like Australia herself, offers a challenging diversity. JW Concepts, founded by Jim Weinert in 2001, promises landscape design “to exceed expectations,” while offering site-specific design, affordability and longevity. JW Concepts won the 2009 AILDM Landscape Design Award for the Grange in Willowvale, QLD, on the site connected to Tamborine National Park with its five-hectare state-protected re-vegetation project for Hotham Creek. Karen Johnson Landscape Design, Karen Johnson founder, offers 20 years experience in horticulture and design focusing on sustainability and water efficiency in Tasmanian-appropriate plantings. Landscapes by Design offers the Melbourne area ISA certified consulting arborist Darrell Mcleod. His public and private designs include a bocce court, wall fountains, commercial entrances, retaining walls, archways, stonework. Lange Design, headquartered in Launceston, Tasmania, won the 2009 Allan Correy Award for Design Excellence, AILDM. Leon Lange and Ric McConaghy offer designs inspired by Australian geology, flora and fauna. 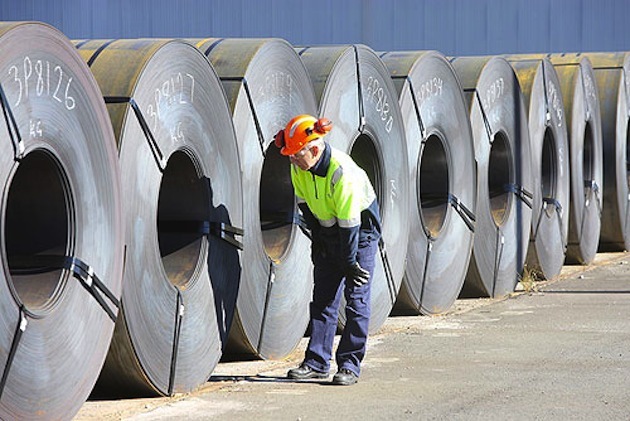 LD Total established 1991, offers full-range landscape contractor services for Western Australia. In 2011 LD Total won the Landscape Industries Association Award of Excellence for Landscape Development for Banksia Grove (Contractor/Commercial/Civic class, $1 million projects). Forestville, NSW, founded in 2004, creates sustainable green spaces, rain gardens, low-maintenance environmentally wise plantings, personal and public garden rooms, patios, walls, walks and decks. Nathan Burkett Design and Construction, Ringwood, Victoria, offers Melbourne high-end award-winning landscape designs and architecture. Nick Moore Design, Brisbane, QLD, offers a decade of unique custom outdoor lighting and innovative organic landscape design. Outscape, founded in 1992 by Catriona Glanville, is headquartered in Grenfell, Central West, NSW. Outscape offers a decade of established work in sustainable, low-maintenance landscaping suited to the site, climate, water, and soil. “We listen,” Glanville says. Secret Gardens of Sydney, founded by Matthew Cantwell, offers 18 years of experience in garden design, landscape construction: water features and environmentally attuned classic and contemporary designs. SEED Landscapes is the Brisbane, QLD creation of Paul Stein. Founded in 2006, SEED believes good garden design increases usable space and value of a home. One of Stein’s innovations is Corten steel in his modern or traditional landscapes. Shearmagic Landscape Design, founded by Darren Shearer in 2006 in Hamilton/Hunter Valley, NSW, has won regional and national awards for “synchronized designs” connecting indoors to the garden and grounds. 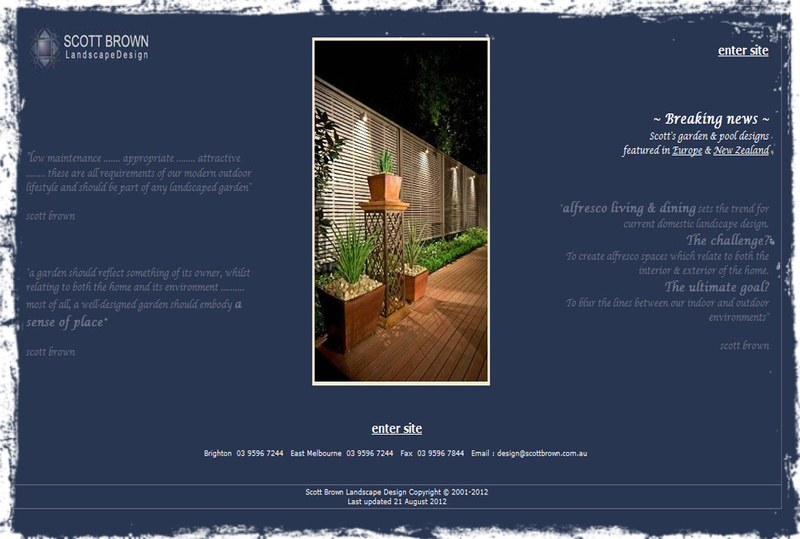 Scott Brown Landscape Design, serving Melbourne since 1993, designs for alfresco living and dining. Waterwise, formal or casual, traditional or contemporary, Scott Brown designs have won gold medals at the Melbourne International Flower and Garden Show. Brown writes for a wide range of national magazines on gardening and lifestyle. Valley Garden Landscapes founder Alex Haskey, Heathcote, NSW won the AILDM 2011 Allan Correy Award for Design Excellence. Australian Institute of Landscape Designers & Managers is a professional institute of qualified landscape design and management practitioners founded in 1993. AILDM currently lists more than 300 members, websites, services, specialities and contacts. Bangay holds a Bachelor of Applied Science (Horticulture) from the University of Melbourne. For 25 years he has fulfilled his clients’ aspirations for gardens that are expressive of the timeless elegance and classic simplicity for which he is internationally renowned. Phillip Johnston Landscapes started 19 years ago and have led the way in completely sustainable landscape design. They are one of the most awarded landscape designers in Australia and have been recognised for their water-wise innovations, holistic approach and for inspiring the horticulture industry to set new benchmarks in sustainability. Curious Paul Bangay not included. Also which Landscape design course would you recommend? Grew up on a nursery. Lots of Horticultural experience; production, retail, gardening. Would like to become a designer but need training. Hello Graham, thank you for the comment. Yup, we tried to be as thorough with the list as we could but it looks like we did miss Paul, who I personally think is a very talented designer and has done a lot for the industry in Australia and word wide. We’re based in Queensland and not familiar with what’s available down in Melbourne, but should be quite a few good places that would give you the missing skills as you already have a lot of experience in horticulture and gardening and so on. Wish you all the best with your goal to become a designer Graham. Yes I too think it is curious (if not outrageous and certainly not thorough as he is hard to miss) that Paul Bangay is not included. How very odd! Phillip Johnston is another important exclusion. Thanks for the comment Adriana, our list is scheduled for review, and we’ll certainly give weight to comments from our readers. Thank you for the comment and for the tips Rose. Thank you for writing this list up on your site very useful indeed. to the ultimately terrifying wildness that used to sit outside every cave in the world, is probably the ultimate example of this urge. I need to find a garden designer/landscape architect for my garden in Townsville. I’m not interested in swimming pools . I would like to restore my garden which has been ravaged by water restrictions. My land size is 1000m2 with some established trees eg Poinciana and various palms. I think I would like something tropical but I’m open to inspired ideas.